The gardens of Dr. Peter B. Wyckoff, his house having been designed by Barney & Chapman c. 1900 in Southampton. Wyckoff, whose family came to America in 1649, was a graduate of Bellevue Medical College and practiced medicine for ten years before retiring and becoming a member of the New York Stock Exchange. 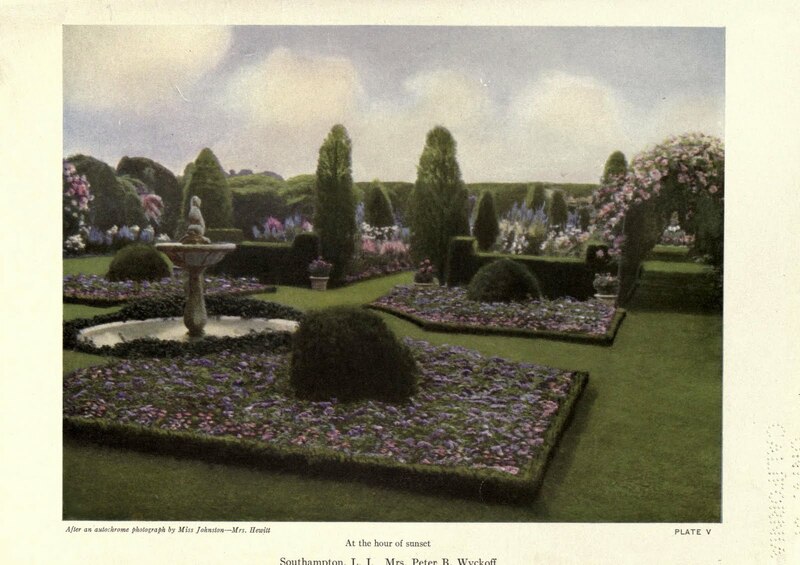 In 1920 the house was sold to Mrs. James P. Donohue who remodeled the place in 1928. The house was demolished in 1938. Click HERE for a picture of the house on Houses of the Hamptons. 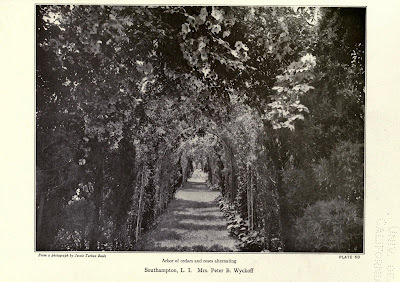 Pictures from Beautiful Gardens in America, 1915. The name "Wooldon" is the combination of the last names Woolworth and Donahue. Mrs. Donahue (Jessie Woolworth) expected to make an entrance in Southampton's society by purchasing this house and remodeling it, but her plans didn't materialize. Jessie Donahue's sister Helena McCann lived in Oyster Bay at "Sunken Orchard".